Candles are a wonderful addition to your home prayer corner or icon corner. 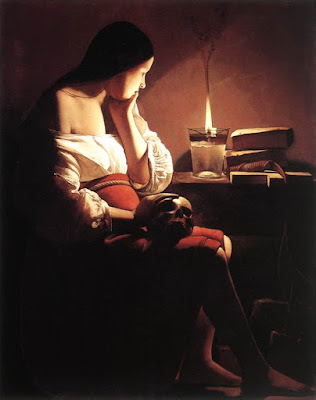 By their very nature as a source of light, they draw our attention. As a symbol of the Light that overcomes darkness, they also remind us of Christ and direct our thoughts to Him. Incense is important too. The sense of smell is, we are told, the most evocative to our imaginations. We associate fragrances with places very readily and easily. It is important then to have fragrances that are consistently used with prayer and that we associate with heavenly activity - the worship of God. 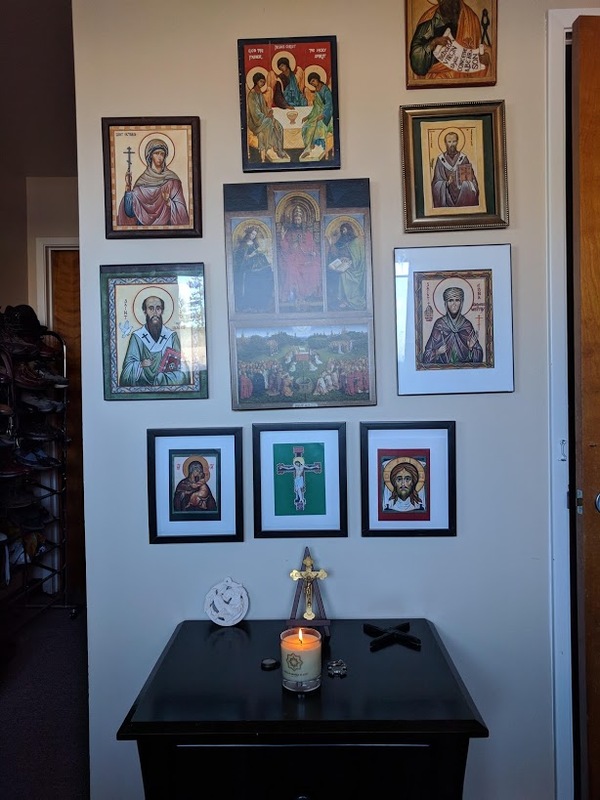 When these two accompaniments to prayer are combined with a visual component of sacred art that is worthy of veneration and placed in our icon corner; with the consideration of posture so that we stand, bow and sit at appropriate junctures; and if we chant our prayers out loud, then we are engaging the senses more fully and approaching the desired ideal of praying with the whole person, body and soul. If we do this at home regularly, it will be a habit we take into the Mass and so deepen our participation there. 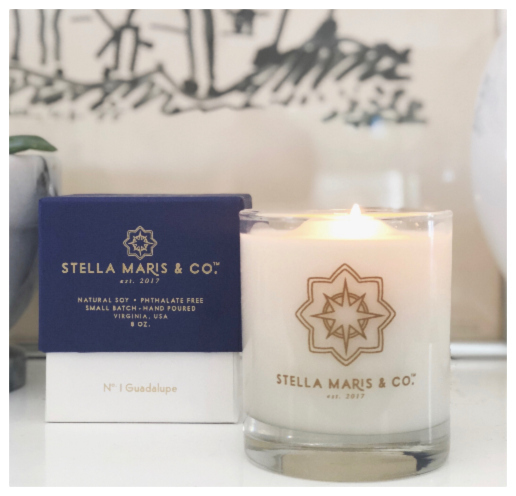 In my experience, candles and incense are not always the easiest things to manage in the home. Wax can flow onto surfaces and cause damage, and incense is by nature smoky and can be suffocating in small spaces. One answer to this would be scented candles. I did try buying some from regular stores and the fragrances always seemed to be reminiscent of an overly sweet perfume which was highly evocative, admittedly, but not of a church! I am pleased to have discovered these candles from Stella Maris & Co. which are available online at stellamarisandco.com. 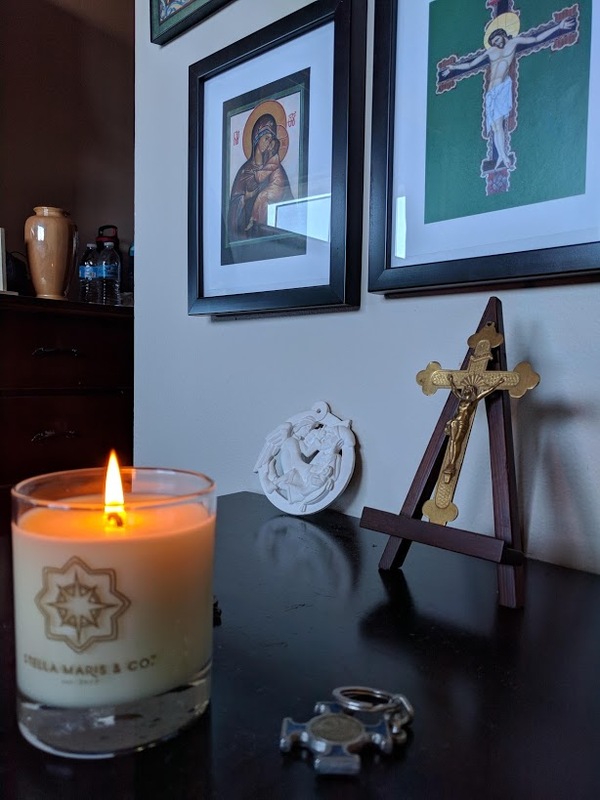 They are slow burning and long lasting, the wax is contained within the glass container and they are carefully scented so to appropriate to prayer (three different scents are available). They are beautifully packaged as well, incidentally. 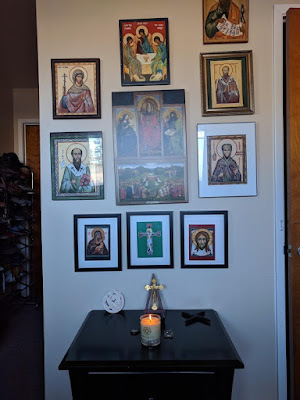 The photos below are of my own domestic church.